Keep your family close to your heart and soul with our Family Circle Necklace. 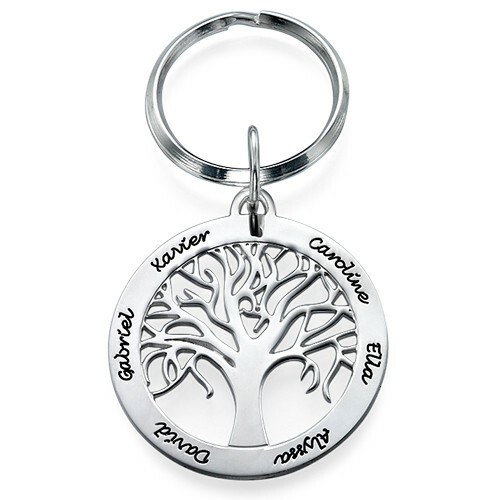 The tree charm symbolizes the branches of your family and their importance in your life. Engrave the names of your loved ones on the rings of the pendant to make this item personally sentimental. The silver pendant will arrive on a silver rollo chain. I bought this as a Christmas present for my mum with all her grandchildren's names on it and she was delighted! Amazing piece of jewellery attention to detail. Would most certainly will be ordering again. Beautiful necklace; will definitely results in sentimental tears of joy! The engraving is perfect; we’re delighted with this gift for Mum. Bought as a 60th gift for my sister, it made her cry she loved it so much. Recipient loved it as it was so personal and unusual.